Gems: precious stones, sparkly and shiny on sight, cool to touch, and generally very expensive to own. To view these jewels in a museum or gallery, for example, the approach would be done quietly and carefully, behind a variety of security screens. “Hidden gems” at a given location describe special or unusual activities, sights, or restaurants visitors may not initially be aware. Truth is, “gems” are known to residents, they’re easily accessible, and they’re out in plain sight. As long as you’re paying attention, those “hidden gems” can become something entirely different. I’ve converted “gems” into acronym G-E-M-S: a Green space (Grünanlange), a place to Eat (Essen gehen), a Museum, and something Special (Sondertipp) to discover. I’ve described urban G-E-M-S in Frankfurt am Main, Köln (Cologne), Hamburg, and Berlin. The present post is on the city of Munich. It’s only fair I show some love for München (Munich)! Munich is the capital city for the state of Bavaria and is Germany’s 3rd largest city with a population of 1.4 million. It’s easy to feel at home, surrounded by the distinctive Bavarian ambience (“bayerische Gemütlichkeit”) that’s relaxed, friendly, and cozy. You’ll see the ubiquity of the state’s blue-and-white-diamond flag; drink plenty of beer in big glass mugs; eat Brezeln, Sauerbraten, Haxen, Weisswurst; and like some residents, dress up in Lederhosen or Dirndl, even outside Oktoberfest season. You’ll visit Marienplatz to see the Glockenspiel play at the Neues Rathaus, attend Mass in the beautiful churches, examine the produce at the farmers’ market at Viktualienmarkt, shop to your heart’s (and credit cards’) extent at Fünf Höfe or Maximilianstrasse, and yes, you might even drink some more and party hard at Hofbräuhaus. 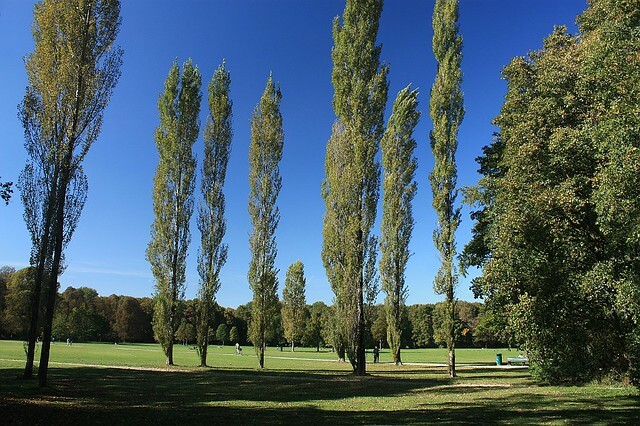 There are many green spaces throughout the Munich area, but the English Garden is a big part of that conversation. With an area reaching over 400 hectares (4 million square metres), there’s more than enough space to find a corner to call your own and spread out for an afternoon. When I’m in town, I’m on a train to Münchner Freiheit for a bite or a coffee, and that fuels my slow meander through the park. If you like people-watching, you’re sure to find surprises and spontaneous moments, from the northern reaches, to the Kleinhesseloher See, down to the river-surfers at Eisbach creek. Transit stop/station: U-Bahn Odeonsplatz, U Universität, U Giselastrasse, or U Münchner Freiheit. I can eat Turkish food all day, and there’s plenty to find here in the Bavarian capital. I prefer the small snack shops to sit-down restaurants, as I simply want to order and consume something relatively easy to put together. That’s where the Döner comes to play. Sofra is recommended on a number of lists, and they don’t disappoint. Transit stop/station: S-Bahn to Isartor; tram 16 to stop “Deutsches Museum” or “Am Gasteig”. I’ve set foot in Munich dozens of times, and I always come “home” to the Pinakotheken. 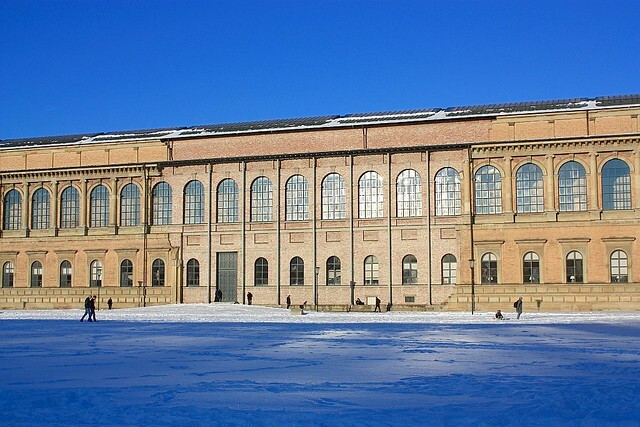 The Old, New, and Modern Pinakothek contains, respectively, collections of European Art from the 13th- to the 18th-century including Old Masters paintings, European Art from the 18th- and 19th-century, and “modern” and contemporary 20th- and 21st-century art. The Pinakotheken form a part of the large Kunstreal or art district in Munich. Do take note of the different days the three Pinakotheken are closed, but don’t forget that all three are open Sundays with the New and the Modern Pinakothek each charging a special Sunday-admission price of 1 Euro. Website: Pinakotheken: Old, New, Modern. Transit stop/station: U-Bahn Theresienstrasse. Alternatively, tram 27 or bus 100 (stop “Pinakotheken”). Bus 100 is known as “Museenlinie”, or Museum line, serving major museums between Hauptbahnhof and Ostbahnhof. With the peculiarity of a standing wave on the Isar river, the steady wall of water means it’s a reliable “wave” for urban surfers. Regardless of the weather, surfers come here to get their licks in, and curious spectators also flock here to see those very same spills. Transit stop/station: U-Bahn U4 or U5 to “Lehel”; tram 18 or bus 100 to stop “Nationalmuseum/Haus der Kunst”. S: Special (Sondertipp) – Eisbachwelle. Local transport: Münchner Verkehrs- und Tarifverbund (MVV), also in English. Approximate trip durations to Munich by train are 6.5 hours from Berlin, 3.5 hours from Frankfurt am Main, 6 hours from Hamburg, about 4.5 hours from Köln, and just under 2 hours from Salzburg, Austria. To see how the city provides fantastic examples of hotels, beer, and great food with some glamour, check how Leah spends a glorious 24 hours in the Bavarian capital. If you’re looking for something like Oktoberfest, the entire summer brings people out to their local “Biergarten” or “beer garden”. There’s always one Biergarten in every city, town, and village, with reasonably priced cold beer and tasty food, with family and group gatherings, as well as neighbourly talk and chatter about the comings and goings about their local or national Fussball-Mannschaft (football side). I made all of the photos, except for the photo of that tasty Schnitzel. This post appears on Fotoeins Fotopress at fotoeins.com as http://wp.me/p1BIdT-4E1. And I like the acronym. BTW, I always enjoy reading your posts. While I love Germany, I would looooveeee for you to write about South America. cough empanadas cough chile. Right now, I see 3 problems. (1) Because we all lived there, we don’t take note (or take photos) of the special things around us; happens all the time. (2) Mmmm, empanadas: the baked “el pino” and the fried versions! I didn’t take any pictures of these! (3) I’ve still a great ambivalence to the nation. Perhaps, with a great deal of time and separation, might I go back and see the nation with different eyes. Thanks for your comment, querida! Hi and you’re welcome, Leah. Next time, because you know you want to go back. 😉 There are lots of experts out there, and I would be especially happy to provide more tips the next time you’re back in Germany or in Prague. Thanks for reading and for your comment! So clever! Gems is perfect and love the map you included. Hi, Tricia. Thanks for your comment about my shot at Marienplatz! I looked around, then I looked up to see that figure from the Altes Rathaus, “reaching out” to the Frauenkirche. I swapped lenses, and clicked away. From Oberammergau, it’s only two hours to München by train (with a switch of train at Murnau). München is the nation’s 3rd largest city, and there’s only so much 4 characteristics in G-E-M-S can cover. I’m sure you’ll agree there’s a lot in the city to find. If the G-E-M-S provide motivation, that would be fantastic. 🙂 Thanks again for stopping by! You made me homesick… hopefully I can catch up on my own favorites this summer. Hola, Eva. It is never my intention to make people sick when they read my words or photos. 🙂 Imagine, however, how much I miss the D-land as I’ve been writing this series, beginning in Frankfurt, to Köln (KÖLLE! ), and this the Munchkin. It’s easy to guess what the next two in the series will be. I hope you get to experience the “old” and the “new” in München, especially through Leah’s eyes. 🙂 Thank you for reading and for your comment. Liebe Grüsse an Euch!